​All of the following information is of my own experiences through a cyclical feedback communication and merging with what we call Andaras as an Andarian here. This continues to evolve as we work with them. Andaras work with increasing bio-electric energy for activating inner-dimensional communication with Elemental/Magical Realms/Star Realms through each achieving higher states of consciousness by consciously and intentionally raising vibrational frequencies through heart connection and non-linearity. For those who consciously decide they are ready to physically work with any of these, then we create various activation sets and make these available from time to time. You can visit the store to see what beautiful creations are currenty available. We put great care, love and energy in everything we do. This is a service we provide for those working on a multi-dimensional level and through Christed Consciousness and Crystalline Grids of our NEW Earth here. Shades may vary in depth, lightness, tones & hues, which is normal. The colors are an additional enhancement and additional portal opening/access within, as vibrational is done different than linear is. Color, tones, frequencies, energy... connection through consciousness is how we work with these. The sets and pieces name themselves, based upon the energy and varying activations relative to names constantly evolve through vibrational tones/hues and energies relative to various aspects of higher/multi-dimensional consciousness. To the human these are just glass. That was my first response too. 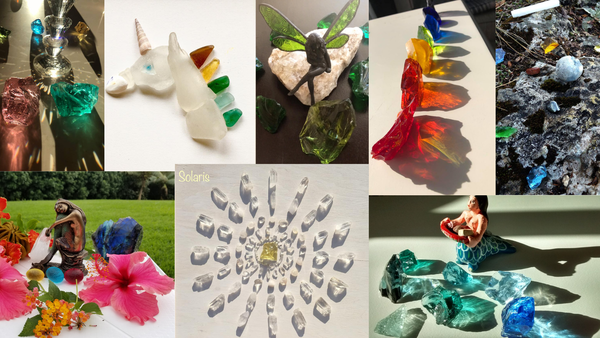 They look like glass and in a way, yet don't fit into linear explanations, in how we connect/work with them. I don't do andaras like most do. It's a full vibrational experience and process of me working with each one of them (often for years), them connecting with those meant to work with them multi-dimensionally and me preparing them with love to come to be with those ready for them. It took me years of working with them to gain the inner-knowledge/connection to start to bring forth the light encoded information that I share with all. To the awakened one, the Crystal Light Being, these are alive, playful, inner-active, speak to us, work with us, merge with our consciousness and assist us in profound & subtle ways. These beings are alive! One must be open to connect, work with them, love them and take their consciousness into them. They vibrationally activate in response to how open, playful and loving our heart is. Because they work on a multi-dimensional level, then many are of "unknown origin" as well. Stories of being extra-terrestrial, coming from the earth, falling out of the sky, vibrationally of our Higher Dimensional NEW Earth, many having them and not knowing what they were at the time.... Andaras come into our awareness when it's our time to work with them. They will call you/speak to you, activate you.... this tells us what we need to know. Human (ego aspects/heart closed) won't have this connection yet. This is because it is not time and too much linearity/"logic", drama and dis-belief/judgment is in the way. This is okay too. There are many of us that connect and love these, activate, receive and have the most subtle and profound experiences and our vibrational/energetic experience is what's important to us. It takes really being wide open to multi-dimensionality and a connection with these as living BEings too. The carbon-based body won't connect with these. The Christed LightBody will. There are many different types of Andaras. Years ago they "told me" that they would come to me; to hold purity and be ready to honor our work with them and the purposes that they serve here too. "They" (as an aspect of our own higher selves/consciousness) showed me "how" to work with them to activate their Light Codes and to partner them vibrationally too. We work with them and activate them ourselves, capturing the magic and bring forth the messages for those who are open and ready to receive. There is an old massive battle between many over this, old Atlantean and Star Systems Karmic timelines others are still playing out. I do not get caught up or participate in the drama and stories. I personally acquire, activate, work with and authenticate their vibration and energy... even when the originating source has done this, I do this myself as well. I pull any pieces that are not of the highest vibrational frequency and I don't let these go out. We invest our own time/energy in bringing the information through, partnering them, taking the magnificent photos, sharing free activation images and messages for all utilizing and resonating with this. We put an immense amount of love and energy into working with them, before they ever are made available in any way. Those that speak to you, you will know it as well. I urge you to connect through your own heart consciousness before selecting any to actually work with. You can do this visually and with the photo galleries as well. Vibrational connection and alignment can be felt. I have encountered both "just glass" and I have encountered truly magical profound ones along the way. 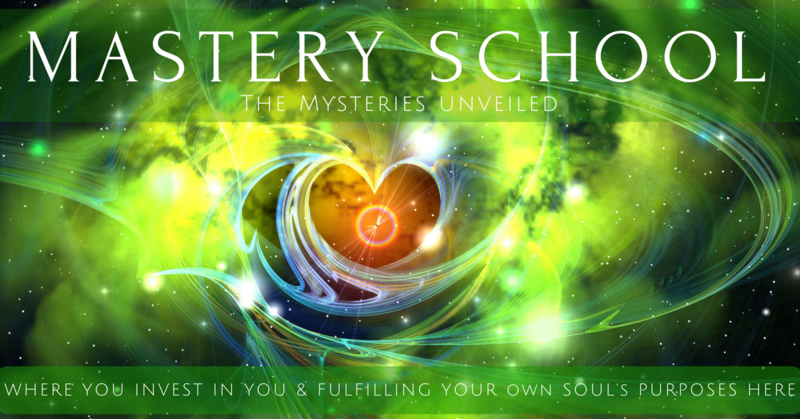 As stewards, we are here to connect those ready to upgrade/further activate their own LightBody, and merge consciousness with these amazing and magical specimens here to assist us with our own re-evolution back. Messages are shared on the Andarian Communications Page. For us, the only way to tell is to work with them on a multi-dimensional level and decide for y/ourself. If there is any question, then connect with one you do resonate with, activate to, that speaks to you.... And trust that which you feel/know inside. Alternate dimensions have different realities. One's vibration will dictate their own experience, as they are a tool/resource that we utilize in conjunction with our many tools/resources to activate vibrationally and continue to open our heart through beauty and Divine Presence too. They can go dormant if not attended to, loved and utilized in the way that they are meant to be here. ♥ InJOY your Andaras!! !